Susan C. Bersch, CPA PLLC is a newly formed, sole practitioner, certified public accounting firm licensed to do business in North Carolina, Virginia, and Maryland. Recently relocating to Lake Gaston, Susan left the city life to open her own accounting firm in a much quieter atmosphere. Susan Bersch has over 30 years of experience in the fields of accounting and tax. Most of her career has been in public accounting performing financial statement audits and reviews, preparing business, fiduciary, and individual tax returns, and providing business, accounting, and tax advisory services to entrepreneurs. Her success working with business owners was enhanced by spending six years as a controller for a closely held group of franchise automobile dealers who also owned and operated a marina and a restaurant. Her experience as a controller gave her first-hand knowledge of what business owners want and need from outside professionals and advisors. She also focuses tax planning and compliance for high wealth individuals, estates and trusts. As a service provider, Susan’s goal is to always exceed her clients’ expectations by providing quality service, at a reasonable cost, and most of all becoming a trusted advisor when important financial decisions are needed. Why Choose Susan C. Bersch? Susan has the knowledge and experience you need. 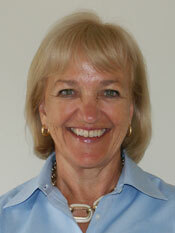 She has provided businesses and individuals with tax, accounting and business advisory services for over 30 years. During that period she worked in private industry as a controller for 5 years and oversaw both tax and audit services for her clients while a partner in McGladrey & Pullen for 15 years. She received her Bachelor of Science degree in Business Administration and her Masters of Science in Taxation and has consistently earned more than the minimum annual requirement for continuing professional education throughout her career. Susan has always worked hard for her clients’ success and will do the same for you. She understands your business and the business world you operate in. She has walked in your shoes as a taxpayer, a controller, a partner in a CPA firm, a trusted business advisor, and now a self-employed entrepreneur. She knows what it takes to succeed. Needs and priorities change over the lifetime of a business and also over the lifetime of an individual. Businesses go through the start-up pains that include funding and cash flow issues. Growth creates the need to manage growth to ensure success. A mature business faces different issues. Business succession can be equally challenging. Individuals spend years saving for things such as homes, tuition, special events, and retirement. Retirement requires new strategies and then there’s estate planning. There may be the need to set up trusts. Susan understands the lifecycle of businesses and individuals and advises her clients according to their unique needs and situations.